Sixth dead tree down. 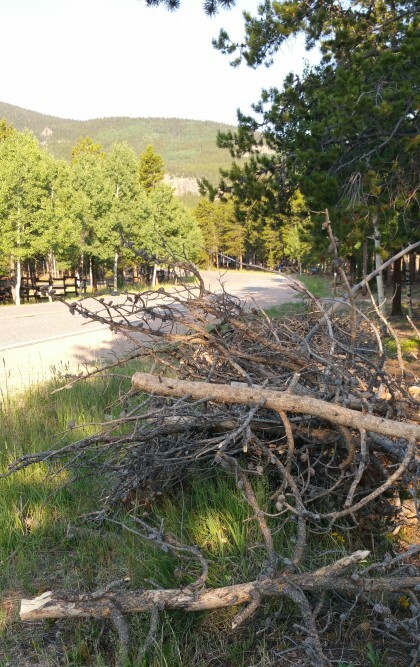 All limbed, the slash moved to the road, and Elk Creek Fire Department notified. They have a new program this year. 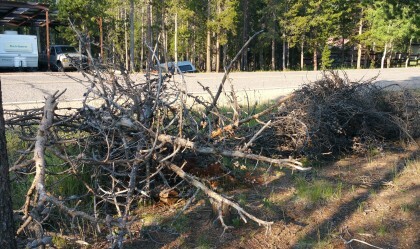 We put slash within 5 feet of the road and in 5 foot or so piles. They’ll come by and chip it. This is not a small deal since the last slash chipping I had done cost $600. Sometime in the next few days I’ll cut all six of them into fireplace sized chunks and stack them. Just a few stray aspen in the wrong places to fell and I’m done with tree work for the year. I like it. It’s outside, the smell of fresh cut wood, get to use my body, creates firewood and helps give our property a better chance in a very high fire season. I miss the same sort of work that our large gardens in Andover used to give me, but I have no intention of recreating those here. Too hard up here, other things to do. Well, if we had a greenhouse, I’d get back to it. I miss working with plants, with the soil. A friend wrote about my life here in Colorado. 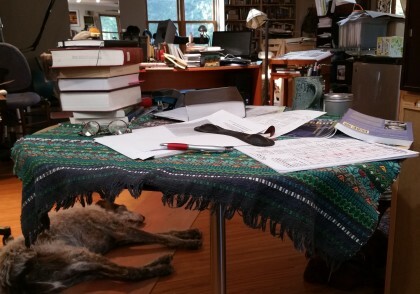 He is, he said, intentionally simplifying, trying to have fewer obligations, yet I’m taking care of dogs, doing more work around the house, cutting down trees and teaching at Beth Evergreen. Now I happen to know that this same guy, who is older than I am, recently completed a show in which he made posters of all the bridges across the Mississippi in the Twin Cities. He has also found a patron who loves his art, so he’s producing larger art works across various media. Not exactly slowing down in that sense. Life in the old lane does force us to make choices about how to use the energy and time we have, but so does every other phase of life. Now though we know ourselves better so we can get more bang for the time and energy. His comment did give me pause, wondering if I’m ignoring the moment, the actual state of my life. Kate and I were talking about this a couple of days ago in relation to her diminished energy, occasioned by Sjogrens, arthritis and this damned nausea that afflicts her. When we whack down the nausea mole, I’m hoping the other symptoms will give her some rest for a while, especially since her shoulder surgery has been so successful. Even so, we do have to adjust to our current physical and energetic and intellectual reality, and she’s not likely to go back to the energizer mode of yesterday. Here’s my situation. I have my chronic illnesses, collected along the way. I don’t hear worth a damn, have stage III kidney disease (stable), glaucoma, high blood pressure, an anxiety disorder (which, frankly, is much, much improved), arthritis in various spots. A repaired achilles tendon and a titanium left knee make my legs not what they were. All these are facts. If you ask me, I’ll tell you, though, that my health is excellent. None of this drags me down, either physically or emotionally. Having said that, my intellectual faculties seem intact though I admit it’s hard to know sometimes from the inside. I’m emotionally more stable, less reactive, have a more nuanced approach to relationships, much of this thanks to the lessons of mussar at Beth Evergreen and the very sensible approach to life that is Jewish culture. THC helps me sleep better than I have in my life. Writing still excites me, makes me feel puissant and I have projects underway, a novel and a collection of short stories, plus an idea for a novelization of the Medea myth. Kate and I have a great relationship, we do a lot of things together, enjoying the years of getting to understand and appreciate each other. Grandparenting is a wonderful life moment. 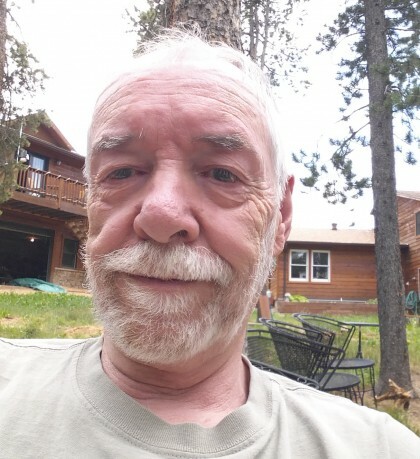 Right now, in other words, I am old, 71 is past the three score and ten, yet I’m still eager, still curious, still hopeful, still physically able. So for me, 71 is my age, but decrepitude has not captured me yet. It will, if I live long enough, I’m sure, and slowing down, when it becomes necessary, is something I foresee. It doesn’t frighten me, since death doesn’t frighten me. Until then, I’m going to keep plowing ahead, purpose driven and excited about life and its various offerings.